09. 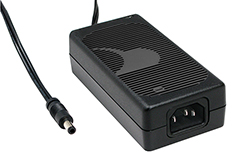 Ripple Voltage: 200mV (p-p) (100-240V AC Input). Measuring is done by 20MHz bandwidth oscilloscope and terminated each output with a 10uf aluminum electrolytic capacitor and 0.1uf ceramic capacitor. 214865 24 2.7 Molex P/N 43025-0408 Microfit 4 circuit connector (3mm pitch) with Molex Contact 43030-0001 or Shang-Yi C3030HF-2X2P-(X1) housing with Shang Yi C3030F-TPE-A(X1) Terminal. No alternate without engineering and customer approval.